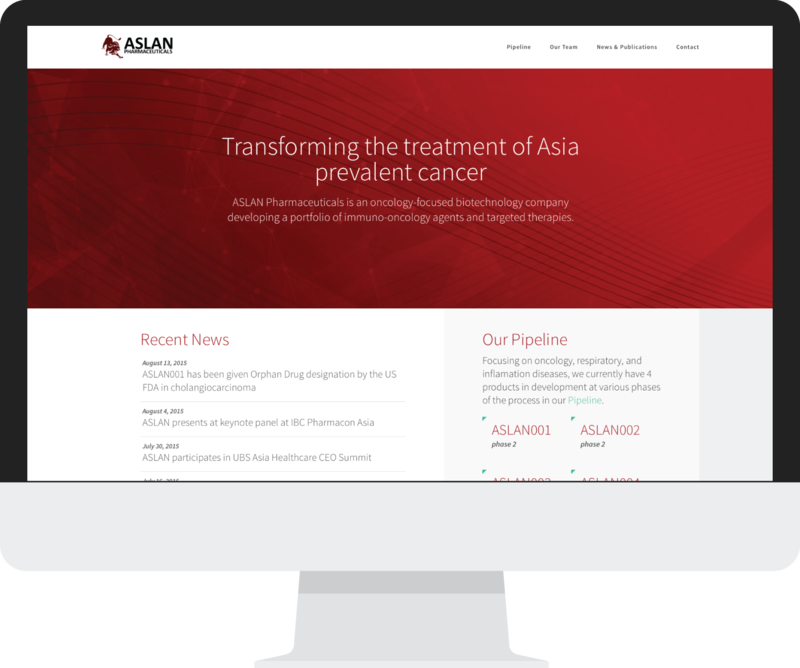 ASLAN Pharmaceuticals is an oncology focused biotechnology company developing a portfolio of immunotherapies and targeted drugs, focusing on Asia prevalent tumour types such as biliary tract, gastric and breast cancers. 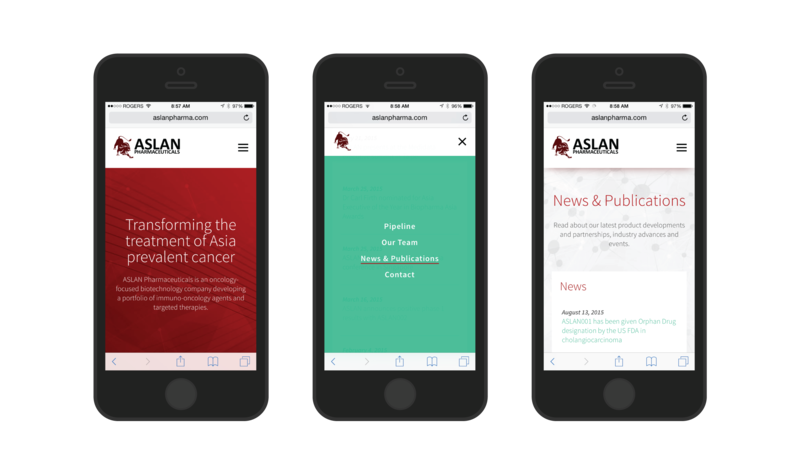 Aslan achieved rapid success in this highly specialized field, but had outgrown its website; the site did not reflect the company’s leadership role or potential for growth on a global scale. Aslan was looking to strengthen its presence online and improve the user experience for potential partners, investors and the media. These are demanding audiences who must be able to easily access the information that is relevant to them. The company needed a responsive site that would bring its story to life and position it as the leader in its highly specialized field – an organization to partner with and invest in. Signals developed a modern, responsive site that functions effectively as a business tool for Aslan. We designed a bold, engaging home page that makes the company’s story immediately accessible and leads to a clear description of its focus and achievements. Strong photography conveys Aslan’s expertise and confidence. The site is responsive and compatible with modern internet browsers. To prepare for the future, we created a platform that will accommodate an Investor Relations section and functionality, and we built in multi-language capabilities. We also implemented a new Content Management System (CMS) so that the site can be easily and regularly updated, leading to improved SEO and rankings.